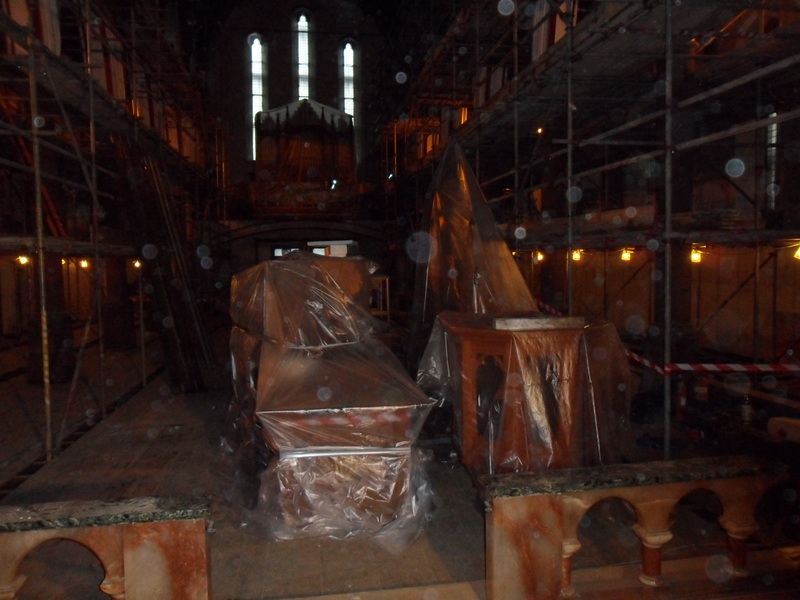 Time for another brief snapshot of the ongoing redevelopment of St Marie’s Church in Widnes. The Church is being redeveloped by Halton & St Helens VCA and the work on site is being managed by John Turner Construction Ltd. The photos were taken by Dave Clark from JTC. 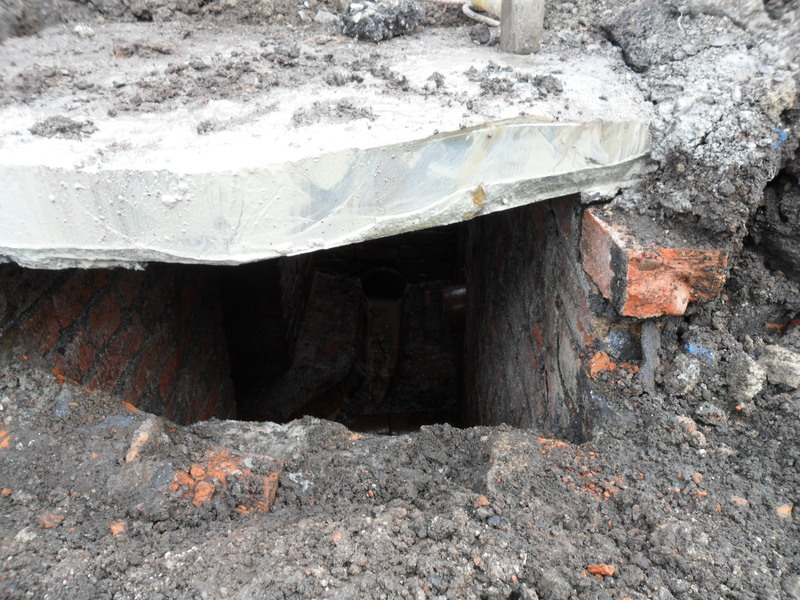 We had to cut off the corner of the existing inspection chamber in order to install the new line of road kerbs that form the entrance into the car park. 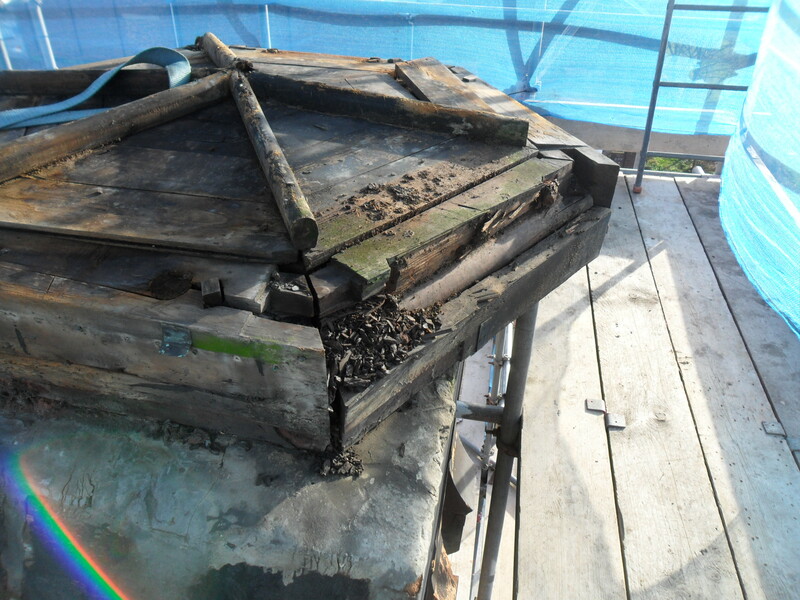 The side altars had to be removed (and protected) in order to remove the existing flooring so that we could carry out dry rot repairs. Here are some of Dave Clark’s finest photographs taken this week. 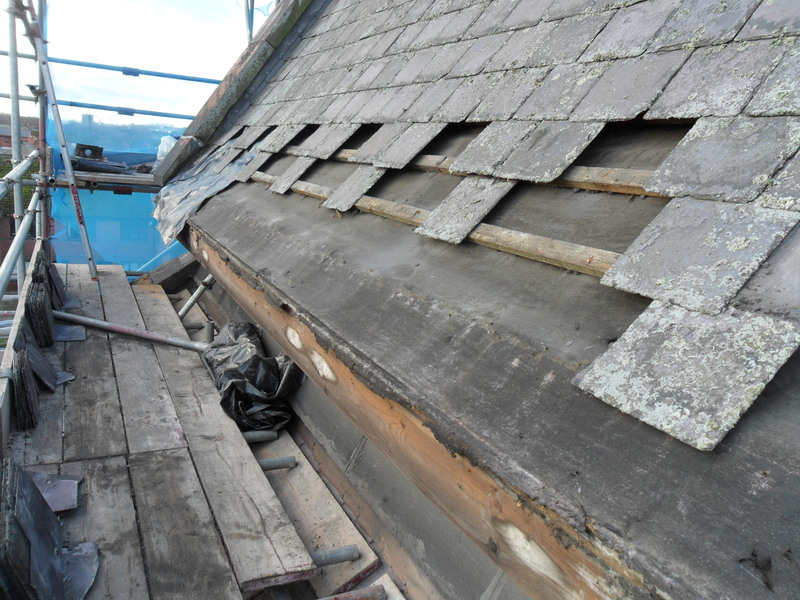 Roof tiles removed in order to install the new facia boards, eaves ventilation and replacement sarking felt, slate batten and to replace the slate with reclaimed slate that matches the church roof. Then new cast iron gutters were fitted along with new down spouts. 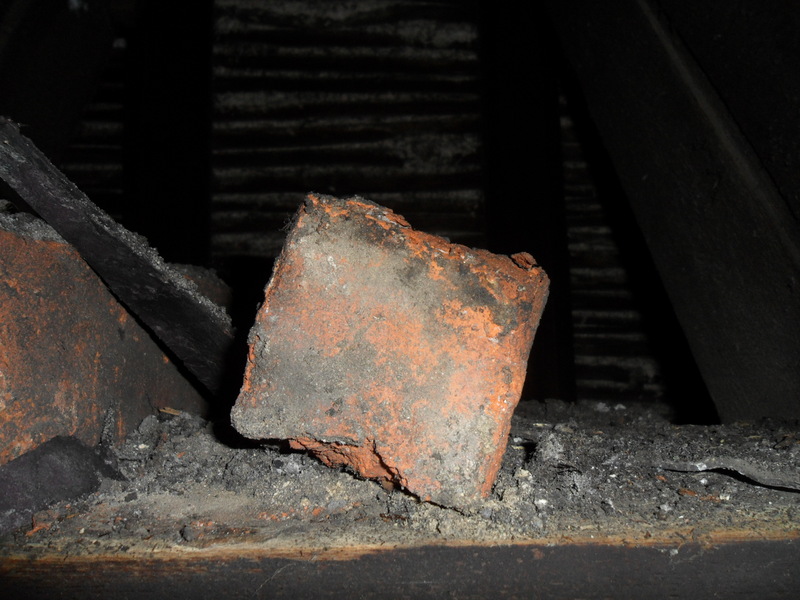 The end of a tie bolt within the eaves which protruded from within the church roof truss. Here are some shots taken this week. There was no “Week 9” or “Week 10” due to the Christmas holidays. Thanks as always to Dave Clark from John Turner Construction Ltd for taking the photos. If you have any questions about the redevelopment of St Marie’s Church, please don’t hesitate to call Matthew Roberts on (01928) 593 118. The foundations are laid for the “new build”. This will be the entrance to St Marie’s. It’s been designed to be very different from the rest of the building so that it is very obvious that it is new. 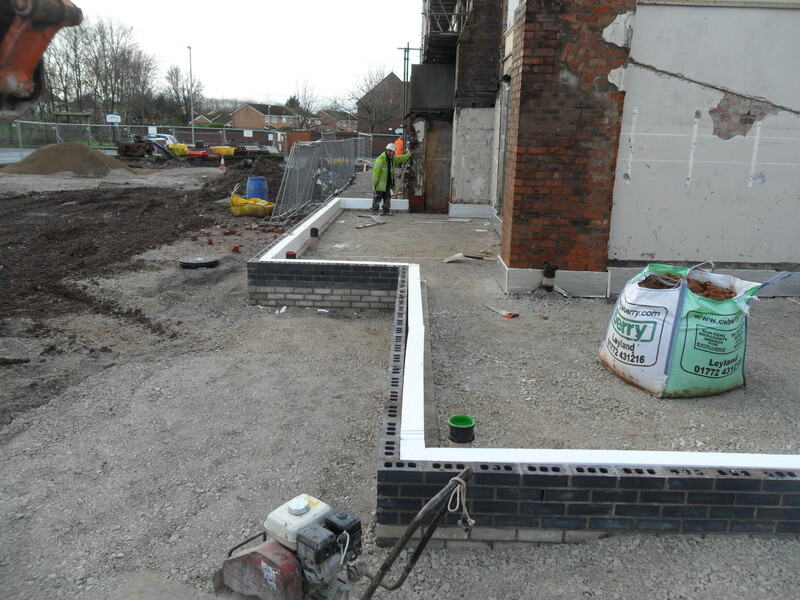 At this stage we’re preparing the extension to receive the cast in situ concrete floor slab. The base of the bellcote tower prior to removal. The legs were on the corners.